Eastern Division AVALANCHE offers three primary courses per season. Two annual LEVEL ONE courses for rescuers and one LEVEL TWO course scheduled every two seasons make up the foundation of the program. Every few years Division Avalanche Staff organizes a road-trip course out west in the Rockie Mountains. Lodging and Accommodations: Lodging is the responsibility of each individual Patroller. Avalanche Courses at Patroller School do not offer arrangements; please make your own arrangements. At Smuggler’s Notch and Whiteface, there is a large variety of choices found on the website of both resorts. Students attending the Mt. Washington New Hampshire event will be directed to the “Town and Country Inn” located at the bottom of Mt. Washington in Shelburne NH. More details about lodging at the Town and Country Inn will appear in your course confirmation receipt. Staff Members volunteering to teach must CHECK-IN so that we can plan for accomodations and teaching assignents. 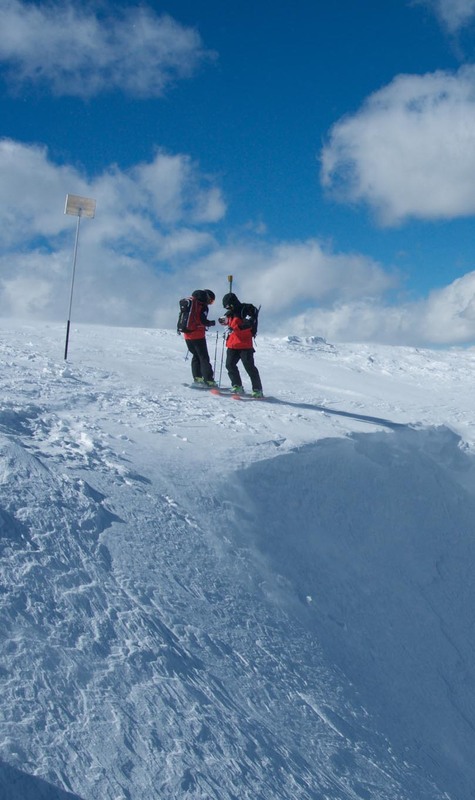 Searching for Senior Elective Avalanche Events? Eastern Division is dedicated to bringing the best National Ski Patrol educational programs to members in the northeastern United States. Patroller School was created to help program managers reach Ski Patrollers, and their affiliate members, locate and enroll in division sponsored events. Our goal is to provide everyone with easy access to selecting and registering for courses. We are interested in feedback from anyone who has attended any of our events. Feedback is anonymous and goes directly to the Program Supervisor. Please check out the following Improvement Questionnaires, fill out the survey and most importantly, take a little time to write us your thought. Feedback from our users is valuable and gets action . . .